Fairies live along the seashore befriending mermaids. And they love help with home-building, too! 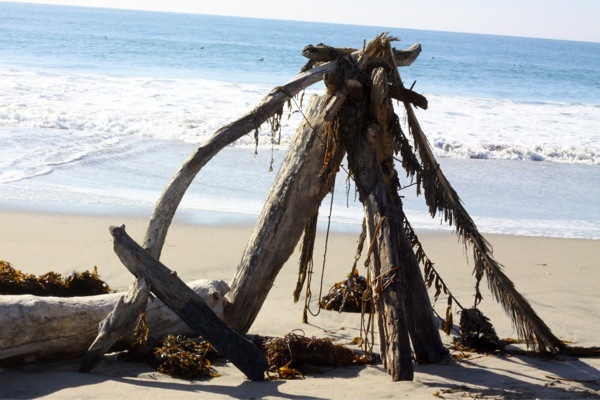 I see whimsical fairy homes in the woods, but not as many beach homes. My girl and her cousins found the idea enchanting. They collected treasures. And built courtyards and a moat. And told stories of the fairies who lived among feathers and sand. We explored and found another giant creation with driftwood and kelp. What sort of fairies lived in this castle? Creative play inspires grand storytelling. And long after we had rinsed the the sea salt from our hands, my girl mused about the fairy ball going on beside the moonlit sparkling sea. Hurrah for imagination. Hurrah for the sea. Hurrah for fairy houses everywhere. 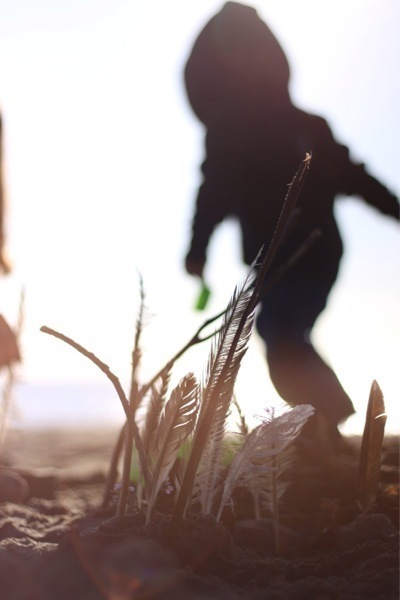 Where do your children build in the summertime? I would love to hear their stories!